If your business space is untidy or dirty, it probably weighs heavily on your workplace. An unkempt commercial space can turn off customers and drop employee productivity. Don't let the state of your workplace sabotage your business. Let us take care of cleaning and maintaining your commercial space, so you can spend more time investing in your business. Missoula Janitorial Services of Missoula, Montana specializes in commercial cleaning services that meet individual client needs. To schedule a consultation with our team of professional cleaners, call our office now. 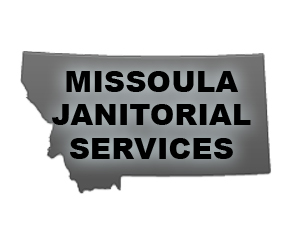 Whatever your cleaning needs may be, Missoula Janitorial Services can help. We also offer a variety of contract options and flexible scheduling to ensure we never disrupt your business operations. To speak directly with a member of our team, please call or email us today. Why choose Missoula Janitorial Services? At Missoula Janitorial Services, we only hire the best. Our professional cleaners are trained in all areas of commercial cleaning services. You can always rely on our team to show up on time and deliver amazing results. After all, consistency is our goal. Our clients always come first, no matter the size of your business or property. We offer weekly and monthly cleaning contracts, so you're sure to find janitorial services that meet your unique needs. 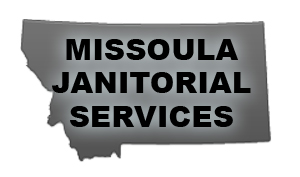 To learn more about Missoula Janitorial Services in Missoula, MT, call our office today. Copyright © 2019 Missoula Janitorial Services LLC, all rights reserved.